Ulog Quotes - The Real Fulfillment In Life. 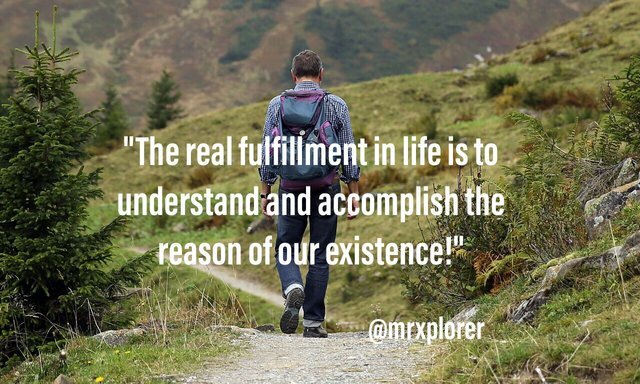 "The real fulfillment in life is to understand and accomplish the reason of our existence!" If you don’t know the reason for your existence, you won’t achieve real fulfillment in life. The reason for our existence must be clear to us so we can understand life. I hope you like my #ulog-quotes.